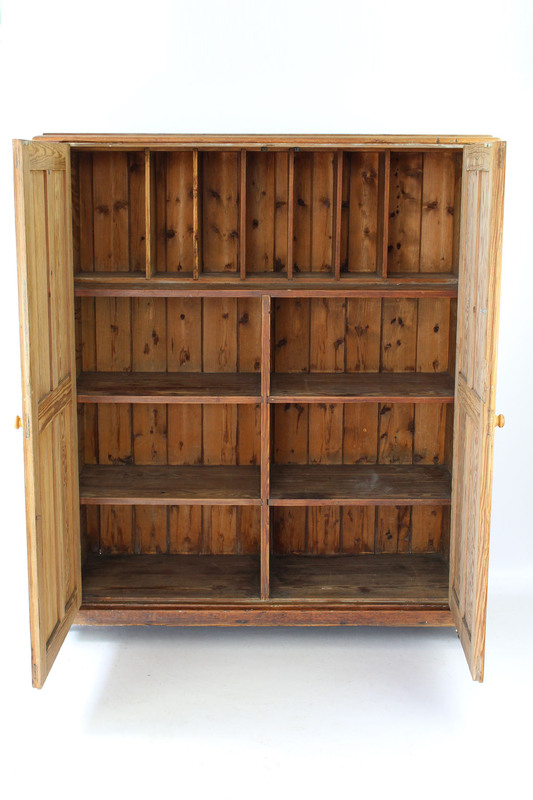 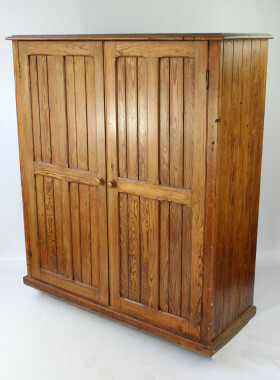 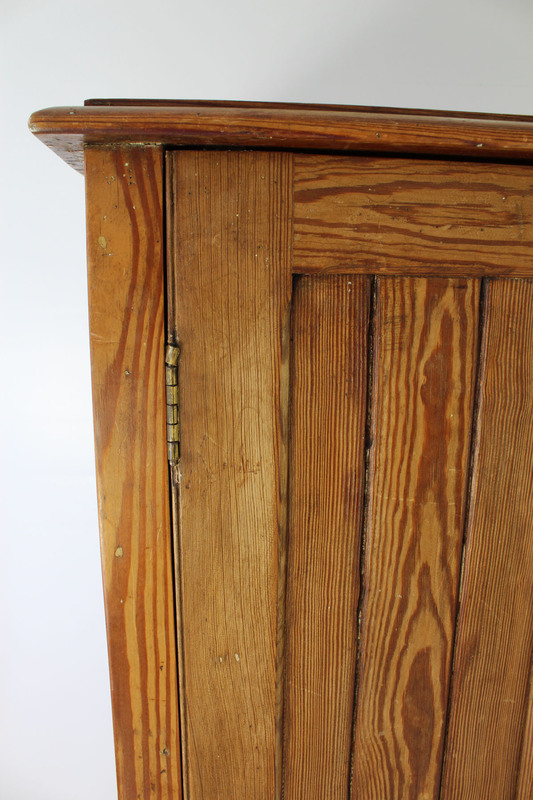 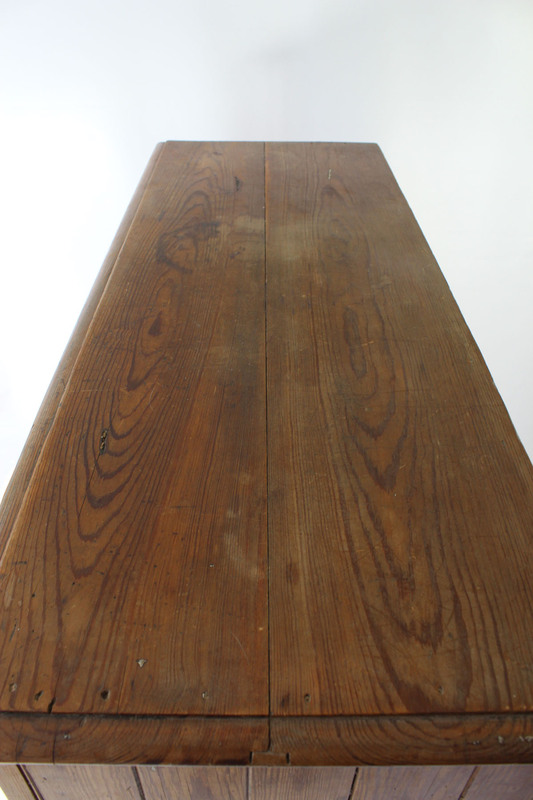 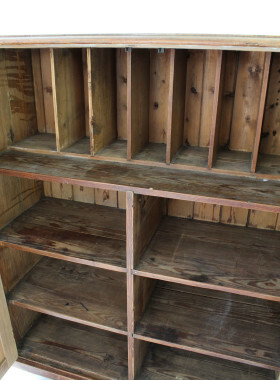 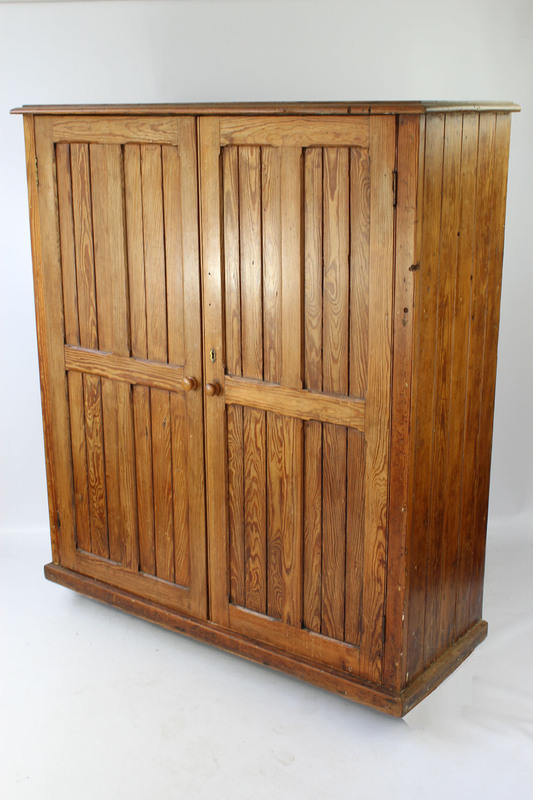 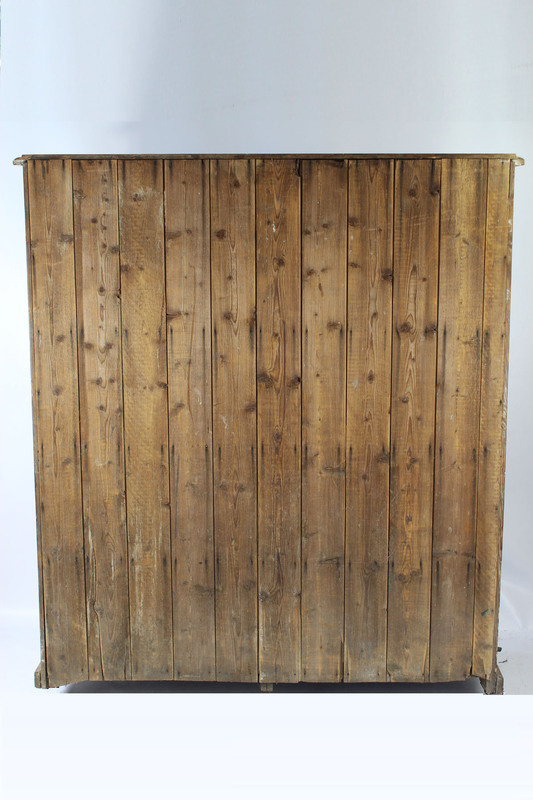 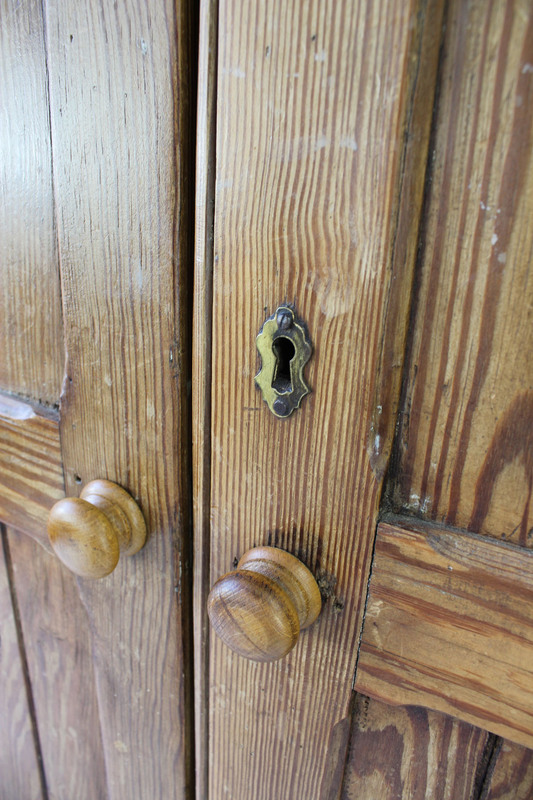 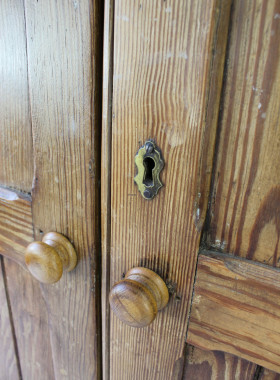 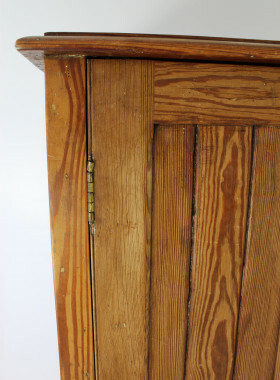 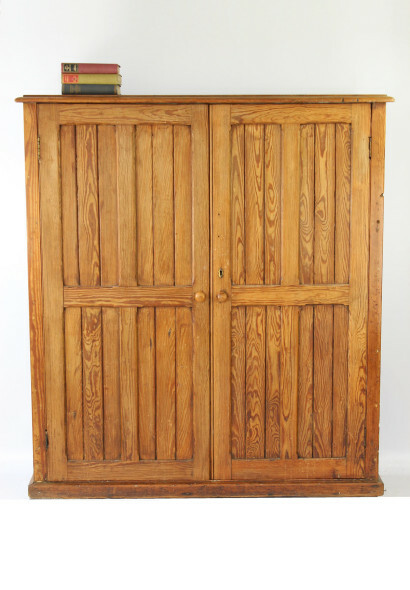 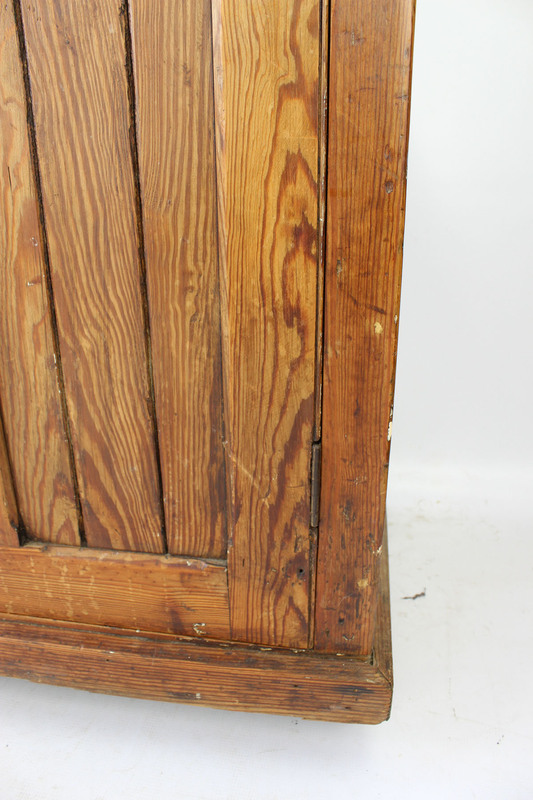 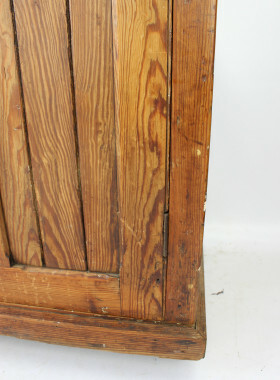 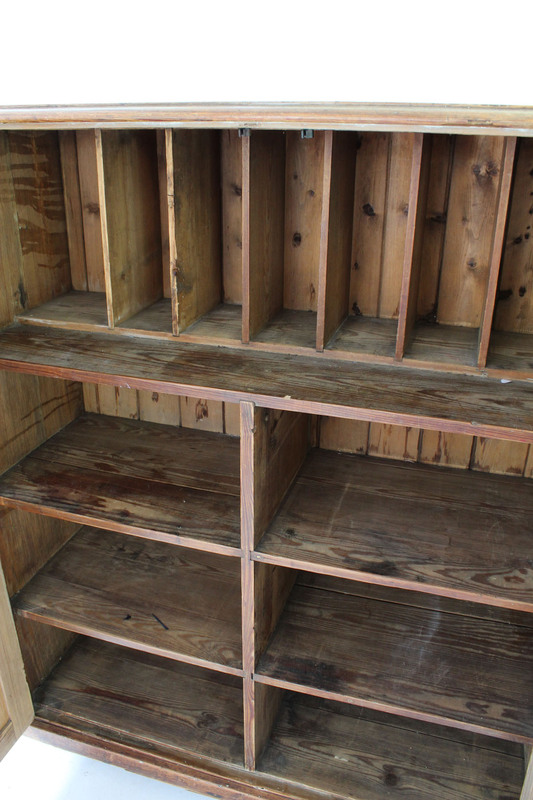 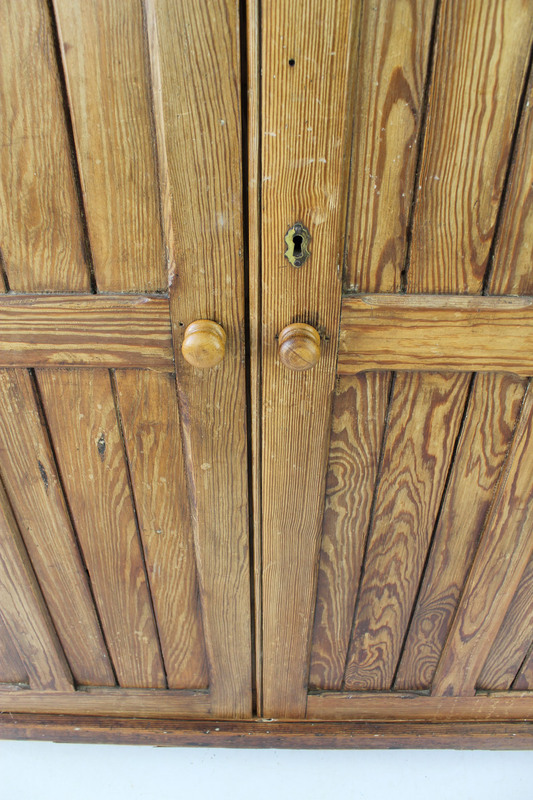 A large good quality antique Victorian pitch pine school or housekeepers cupboard. 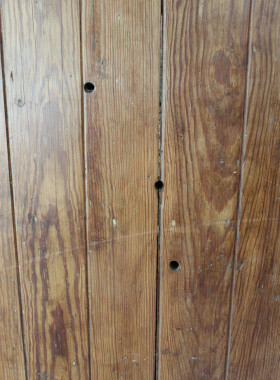 Dating from circa 1880. A large good quality antique Victorian pitch pine school or housekeepers cupboard. 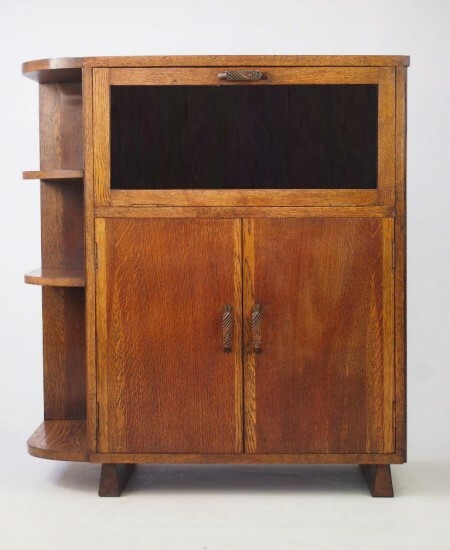 It comprises an over-sailing top over two panelled doors opening to four partitioned shelves, the top shelf with vertical dividers. 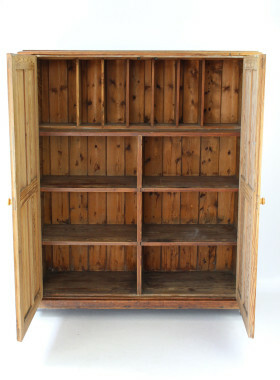 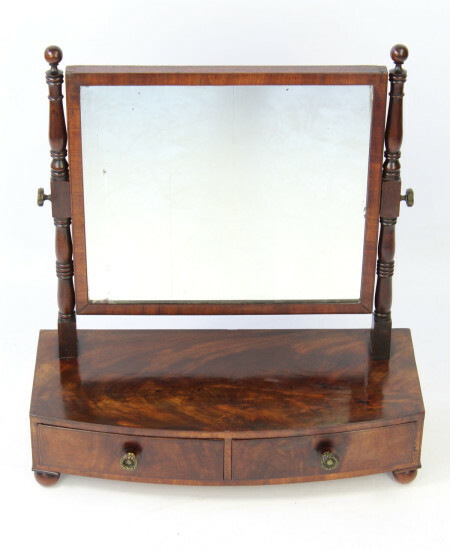 The whole piece stands on a plinth base and is very substantial and heavy. 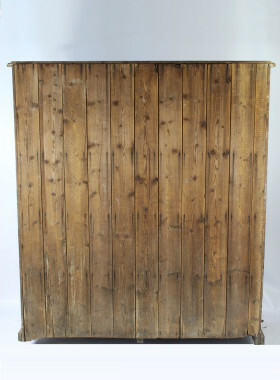 Dating from circa 1880. 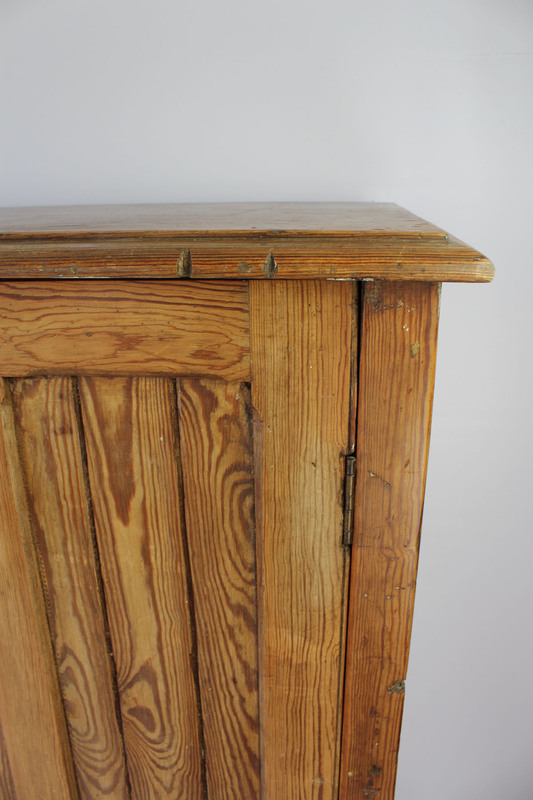 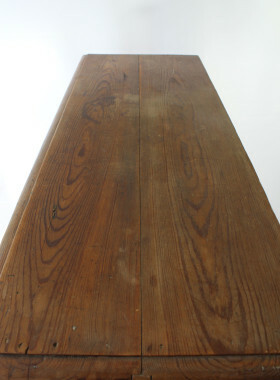 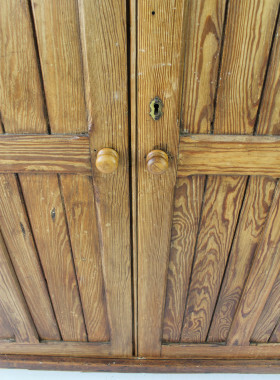 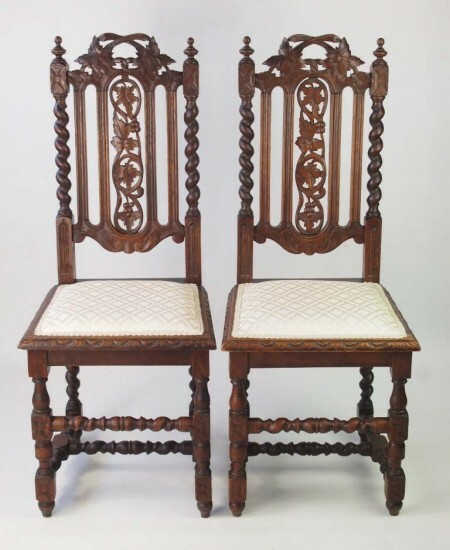 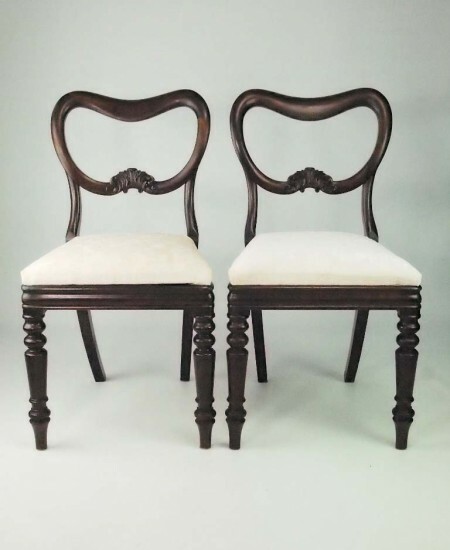 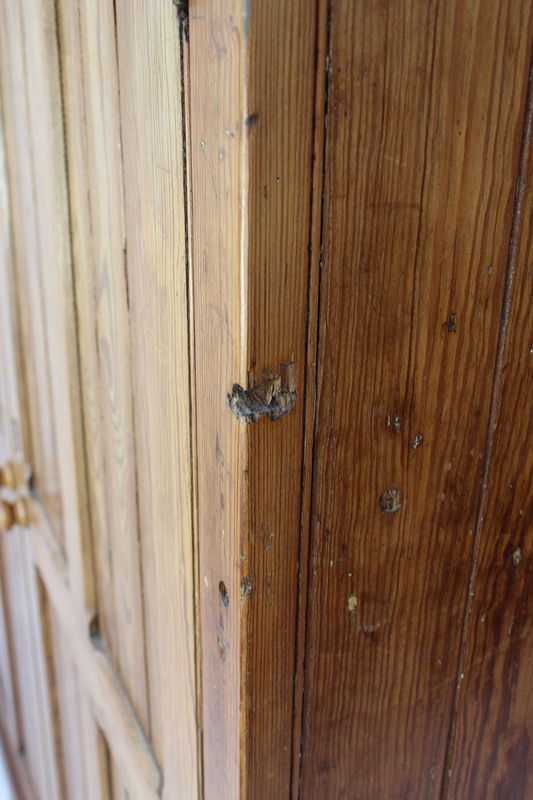 Solid and sturdy with wear and marks commensurate with age. 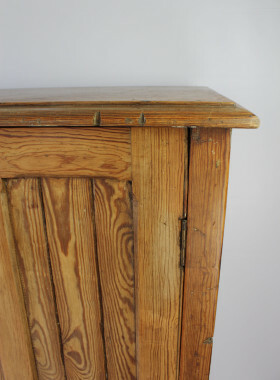 This piece has probably been stripped at some point in its life. 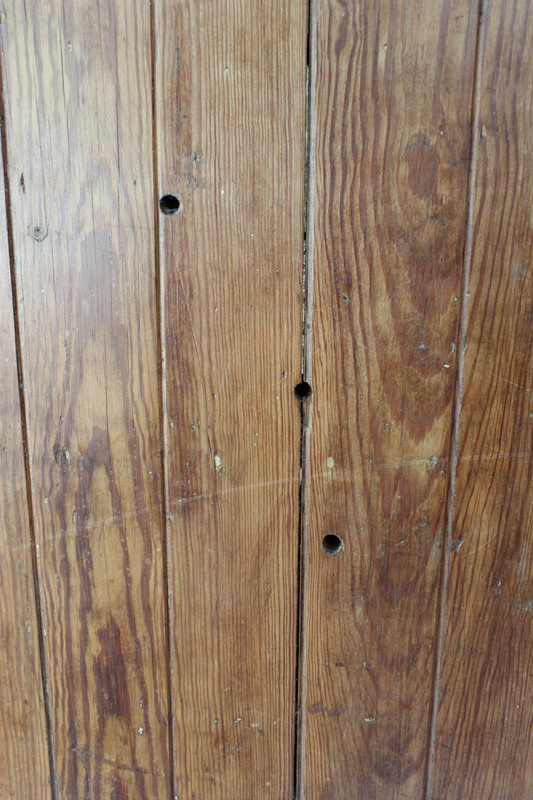 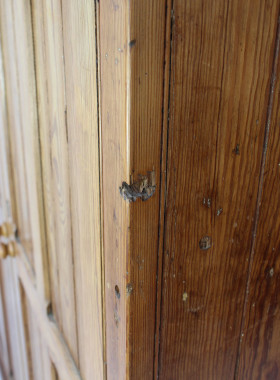 A few saw marks and a few dents and holes to the sides (see pictures).